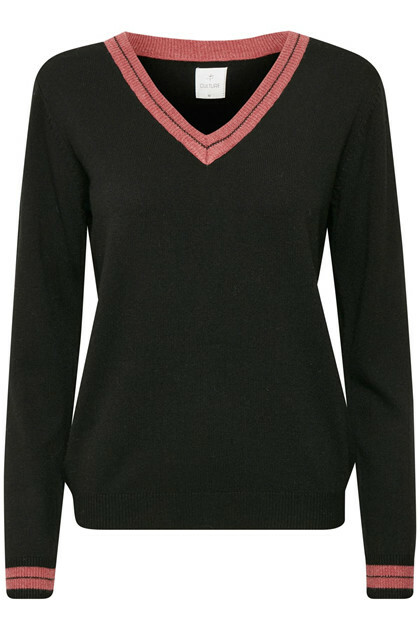 This jumper has a classical chic look with ribbing in the v-neckline, at the sleeves and in bottom of the jumper. 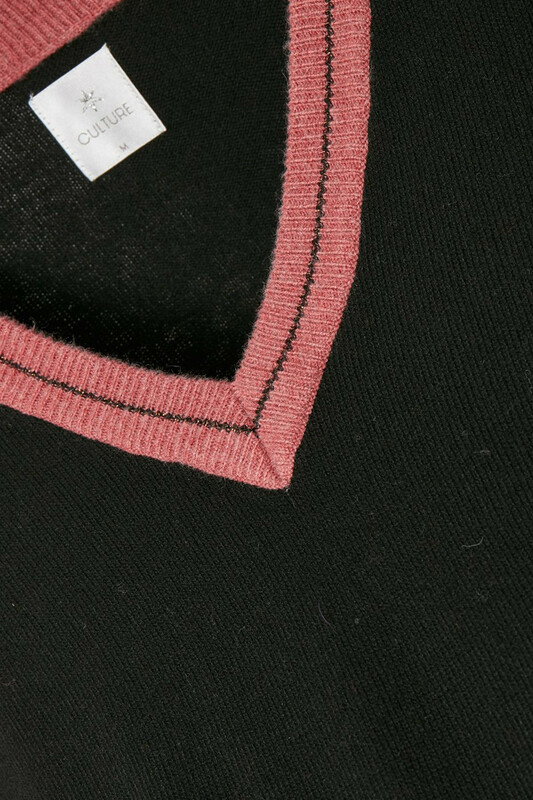 As an elegant little detail, there is a thin strip of copper lurex in the v-neckline and sleeves. Very fine! 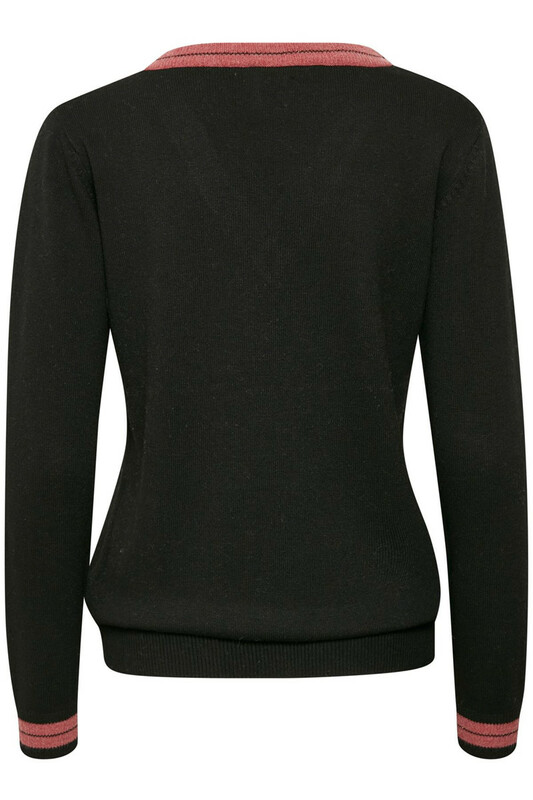 The fit is well, and the jumper has a good length.